First elected by the General Assembly on March 31, 1851, to fill the vacancy created by the death of Francis Taliaferro Brooke and began his service on April 1, 1851. Elected by popular vote on May 17, 1852, under the Constitution of 1851. Service terminated by the defeat of the Confederacy and the adoption of the Virginia Constitution of 1864, ratified under the auspices of the Restored loyal government meeting in Alexandria. Elected a second time by the General Assembly on February 22, 1866, to a term beginning March 7, 1866. Service terminated by Reconstruction and passage of a law requiring removal of any official serving in Virginia (and Texas) who had a record of service to the Confederacy. Elected a third time by the General Assembly on March 23, 1870, to a 12-year term beginning January 1, 1871, defeating Alexander Rives, and began his service on April 12, 1870. Service terminated by death. Began acting as court president on March 7, 1866. Service terminated by Reconstruction. Elected president by the other newly elected judges on the court on April 12, 1870. Service terminated by death. Elected in 1851, 48 Va., iii; elected by popular vote, 50 Va., vi; elected in 1866, Thomas R. Morris, The Virginia Supreme Court: An Institutional and Political Analysis (Charlottesville: University Press of Virginia, 1975), 40, and Election of Judges, col. 2, Staunton Spectator (Staunton, Va.), February 27, 1866, retrieved on February 10, 2014; elected in 1870, Court of Appeals, col. 1, Staunton Spectator (Staunton, Va.), March 29, 1870, retrieved on February 10, 2014; elected president by his fellow judges, Court of Appeals (Richmond Session) Order Book, April 12, 1870, p. 111 (State Government Records Collection, Library of Virginia, accession 31022); birth, education, and career, David L. Pulliam, The Constitutional Conventions of Virginia from the Foundation of the Commonwealth to the Present Time (Richmond: John T. West, 1901), 109; portrait, Ray O. Hummel, Jr., and Katherine M. Smith, Portraits and Statuary of Virginians Owned by the Virginia State Library, the Medical College of Virginia, the Virginia Museum of Fine Arts, and Other State Agencies (Richmond, Va.: The Virginia State Library, 1977), 82. 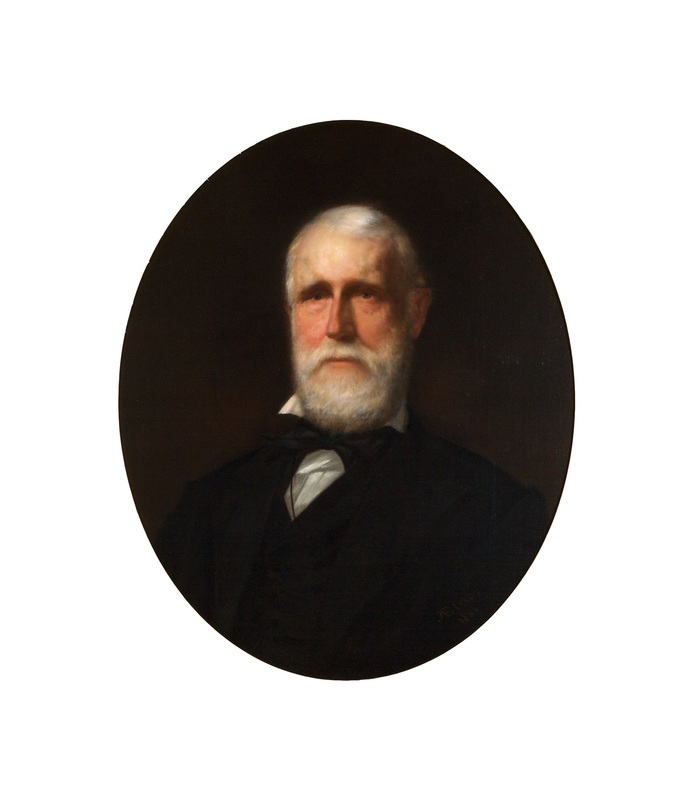 Moncure’s portrait was commissioned by the Richmond Bar Association and donated to the court on March 4, 1881, for display in the courtroom with other portraits (Order Book 26, p. 70).